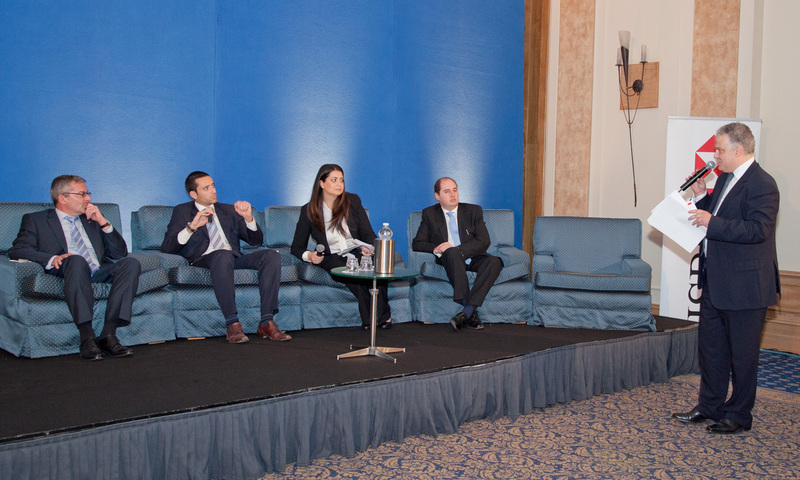 Speech by David Zahra, partner at Camilleri de Marco & Zahra Advocates, at the Mediterranean Islamic Finance Conference ‘New Openings’ held at the Westin Dragonara Resort, Malta between the 27th and 28th October 2011. I quote from an article published in The Economist in 1994. The author was reflecting then on why non-Muslims should not sneer ignorantly at the economics of Islam because there are a number of lessons that the West could learn from them. Seventeen years later, the world is facing the worst financial crisis since at least the 1930s – “if not ever”, to quote the Governor of the Bank of England. Only last week, Luc Frieden, Luxembourg’s Minister of Finance, stated that Europe “can learn and win from Islamic finance”. Islamic financial institutions, he said, have remained stable, have weathered the global crisis and emerged to be the most well managed. The question arises: could we have avoided the current financial crisis had we embraced, to an extent, the principles contained in Islamic finance? When we look at the contemporary macro-economic scene today and the conventional banking system, can we really dismiss the Islamic precepts as inappropriate? At the outset, I would like to make myself clear. I am not advocating the classical and rigid application of the Shari’a to the Western world – this, I believe, could be catastrophic. I disagree with imposing any religious code into what today is a highly secularised society. Neither am I saying that the principles of Islamic finance could be an easy solution that solves the crisis. I am advocating, however, that we take advantage of the benefit of the wisdom enclosed in the Islamic perspective on the economy. We should be inspired by the fundamentals underpinning Islamic finance when embarking on an analysis of the debt-crisis and understanding the reasons why Europe’s socio-economic model has been bankrupted financially, economically, operationally and consequently morally. Having said that, this does not mean that element of ethical principles should be limited to Islamic finance alone. The European crisis is not exclusively economic or financial and much more than just governmental – it is systemic and fundamental. The very fundamentals of the western socio-economic and political system are being challenged – and, therefore, we must look beyond what we’re familiar with to re-build European economic life. In actual fact, commentators agree that the current debate seems to be missing a key factor — a broad ethical discussion of what is the right and wrong thing to do in a modern economy. A survey by the World Economic Forum says two-thirds of those queried think the crunch is “also a crisis of ethics and values”. 3. the prohibition of excessive speculation and gambling. Let’s start from the latter – the prohibition of excessive speculation and gambling. Avoiding excessive risk taking is among the key goals of Europe. One of the recent measures taken by the European Union recently was the establishment of the European Systemic Risk Board and the European Supervisory Authorities to prevent or mitigate systemic risks to financial stability in Europe and as an appropriate incentive to avoid excessive risk taking. Avoiding excessive risk taking is also an important feature found in Islamic finance. The US Financial Crisis Inquiry Commission, in January 2011, concluded that “the crisis was avoidable and was caused by… the Federal Reserve’s failure to stem the tide of toxic mortgages… too many financial firms acting recklessly and taking on too much risk…an explosive mix of excessive borrowing and risk by households”. One thing is clear: the complex toxic securities which subsequently wiped out the balance sheets of several Western banks would never have been allowed under Islamic finance. Islamic finance provides that uncertainty, risk – not business risk which is encouraged – are to be avoided at all costs. Islamic finance would frown upon financial models that support the creation and wide spread dissemination of securitized debt instruments, such as collateralized debt obligations (CDOs) and the use of derivatives, such as credit default swaps (CDS) and similar contracts, as risk management mechanisms. Islamic economists, in fact, support the move to regulate financial players (such as hedge funds – often described as “money making machines” where speculation is fundamental to their operation) more aggressively, with the aim of phasing out or eliminating such risk management tools. Islamic finance uses hedging and risk management contracts which are based on the coordinated sales (or leases) of real assets. The Shari’a requires that everything has to involve an underlying asset or service – and thus focuses on commodities, infrastructure, manufacturing and property. The approach enshrined in Islamic finance structuring deals backed by actual assets has obvious appeal to the post-financial crisis world. Islamic economists have been, in fact, calling for the global financial system to be redesigned so that there are direct and immediate connections between so-called real, tangible assets (goods—such as land, infrastructure, buildings, factories, vehicles, etc—and services associated with them), on the one hand, and banks and other financial intermediaries, on the other. They have also called for the removal through regulation and legislation of excessive leverage. It is acceptable, in terms of Islamic finance, to make a profit – however such profit must be made from an underlying asset and not simply from owning capital. This leads us to the second fundamental tenet – the prohibition of interest – very often considered to be the nucleus of Islamic doctrine relating to finance. This notion is very often treated with scepticism. The global economy is based on the economics of interest. I have recently come across an article in the Sunday Times magazine on increase in high-cost credit providers in Britain – such as payday lenders with an APR (annual percentage rates – that is, what you would pay over a year) for a loan reaching 4,214%. It is interesting to note that most of the money on payday lending is made on rolling over the loan again and again, “so it builds in a pile of interest that can never be repaid”. The world is now ruled by debt. It is not only the modern consumer that is ridden by debt, but corporations and sovereign states are all debtors. In terms of Islamic finance, riba – unearned accretion, notably interest on money – is prohibited. This is hardly a concept which is alien to Western societies. Under Roman law, a lex Genucia of 342BC is said to have prohibited interest altogether – although, admittedly, it did not have a lasting effect. In 89BC, discord arose between debtors and creditors, since the latter exacted the money due to them with interest, although an old law distinctly forbade lending on interest and imposed a penalty upon any one doing so, leading to the assassination of the praetor Asellio. Canon law also prohibited the charging of interest. St Thomas Aquinas and St Augustine also argued – on the basis of Aristotle’s Politika – that money was a means of exchange and that money in the nature of things cannot yield fruits. This, in fact, reflects the prevalent view in the Shari’a: money cannot be treated as a commodity in itself, it has no value and cannot attract value. Instead, Islamic finance has developed mechanisms which replace interest with cash flow from productive sources – for example, rental income. It encourages the financial relationship between the lender and borrower to be based on a partnership mentality. As an example, in Islamic finance, a purchaser of a house and the Islamic financial institution – the “lender” –both become partners in the equity of the house in proportion to their contributions. The Islamic financial institution rents the house to the institution’s customer till the price is paid off or sells him the house outright with an agreed-upon long term payment contract. Rather than one party gaining at the expense of the other without due regard to the price paid for the home, Islamic finance promotes an arrangement based on equity participation – based on partnership and fairness. The International Monetary Fund recommends (although not acknowledged as such) the principles of Islamic banking in equity sharing over loans. This leads to the third fundamental tenet – risk sharing. 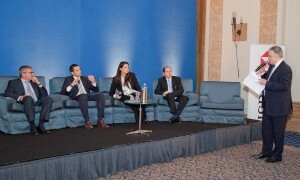 According to Islamic finance, risk must be shared between lender and borrower and everyone involved in a transaction must be able to make informed decisions and there must be transparency about all aspects of the transaction – a long-term partnership approach, based on mutual interest and a spirit of cooperation. – substantially reduces the moral-hazard (that is, the party insulated from risk behaves differently from how it would behave if it were fully exposed to the risk) because depositors would be more interested in the soundness of the bank’s assets in order to prevent having to accept negative returns and banks would have a better incentive to be careful in selecting borrowers and projects. Although, admittedly, seeking to attribute the recent proposal to introduce a financial transactions tax to Islamic finance is stretching it a bit too far, one cannot fail but note the correlation between this line of thinking and the reasons behind such a proposal. Since the beginning of the global financial crisis, there have been calls on the financial sector to ensure that the sector shares, fairly and substantially, in the costs of the crisis and in any burden associated with future government interventions in the sector. Moreover, the tax seeks to raise transaction costs which, in turn, impedes speculation (which, we’ve seen, is prohibited under the Shari’a). It is planned that proceeds from such a tax are allocated to Europe-wide social, environmental and global policies. This reminds me of zakat – a wealth tax in the form of levy imposed by the Shari’a levied on productive assets to help the needy and re-distribute wealth fairly. I think it is clear that most issues that I have mentioned are, to a large extent, consistent with what several economists and finance academics have already been calling for and are likely to continue to call for in the near future in response to the turbulent times we are living in. It appears that the philosophical bases of the Shari’a are congruent with calls being made by seasoned politicians such as European Commission President José Manuel Baroso and former British Prime Minister Gordon Brown that Europe – and the world – needs to re-introduce ethics in the financial system. This reflects a call already made by the Italian Islamic community which suggested – not that Europe implements part of the Shari’a – but that legislators “consider the contribution that economists, technicians and sages of Islam can give for a broader vision of the problems connected to the process of globalization and of its governance”. Islam, it can be said, offers a vision founded on principles of fairness and a search for the good of all humanity which goes beyond the simple material level. There is great scope for the non-Muslim world to implement some of the ideals and products that Islamic finance can offer. In fact, many investors see the integration of ethics and values into finance as a positive development and are increasingly considering Islamic finance to be more reliable than conventional financing, especially in view of current global credit circumstances. Islamic finance presents a compelling and efficient alternative to all stakeholders of capital. It is also in this light that the United Kingdom is using its best efforts (including amending their laws and financial regulations to be Shari’a-compliant) to establish itself as a centre for Islamic finance, France has amended its Civil Code to allow sukuk to be issued there and that Ireland has recently launched a bid to become the home of Islamic finance in Europe as it seeks to rebuild its once dominant financial services sector. Irish and UK financial institutions, devastated by the financial crisis, are seeing opportunities worth billions in Islamic finance, either seeking to get a toehold in Islamic countries or attract Islamic institutions to them. Allow me here to make reference to Malta’s efforts – which I feel have waned in recent years despite efforts by jurisdictions similar to Malta in character and size – to become a European centre of Islamic finance; in particular due to our geographical position and recent statements by the interim chairman of the Libyan National Transitional Council that our neighbor’s legal system will be based – the extent of which is yet unclear – on the Shari’a. Islamic finance will play a vital role in the rebuilding of Libya and Malta (and Europe) should actively participate in that. That Islamic finance is a growing niche and that great potential remains for further growth is a given. As Professor Samuel Hayes, the eminent Harvard Business School Professor of Investment Banking, commented several months ago, Islamic financial institutions have weathered the crisis better than the conventional banks. I would dare say it is because they are guided by the principles of Islamic finance whose incentives are “well aligned with the needs of our economy and our society” – a characteristic which, according to Nobel winning Columbia University economist, Joseph Stigliz was missing in the conduct of conventional financial institutions.